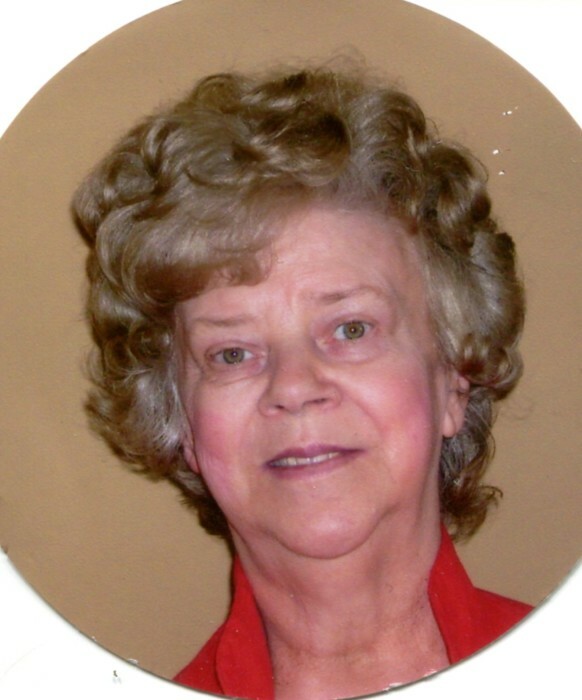 Barbara Jean Cauwels, 76, of Rockford, passed away on December 2, 2018, surrounded by family. Born July 2, 1942 in Illinois, she was the youngest daughter of Joseph and Mary Rita (Miles) Bickett. After graduating from Marquette University in 1966 with a Bachelor’s of Art degree, Barbara taught history and physical education at Nicolet High School in Whitefish Bay, Wisconsin. In 1968, she moved to Warren, Michigan with her family, where she taught history and physical education in the Ferndale school district while also earning a Master's degree from the University of Detroit. In 1972, Barbara moved to Rockford where she did substitute teaching in the Rockford school district while raising her children. She worked to share her talents with others and inspire them to keep learning. Barbara is remembered as a loving, playful mother, who raised her four children over a 36-year period of time. During her younger years, Barbara enjoyed hosting parties for family and friends and acting as a Tour Guide at the Chrysler assembly plant in Belvidere, Illinois. She loved traveling all over the United States during the summer with her family and took great pride in being able to share her knowledge of geography and history along the way. She provided many memorable adventures for her children throughout her life and worked hard to instill good values in them. Barbara was a great role model and worked hard to spread kindness by visiting those in nursing homes who lived far from their own family. She loved to take pictures and pull them out to reminisce and reflect on the memories. Barbara was a devout Catholic and a longtime member of St. Edward’s Catholic Church in Rockford, Illinois where she taught religious education for several years. She attended weekly Bible study groups and developed many friendships as a result. She was a compassionate daughter who always put family first by helping to provide care for her aging mother. As one of seven children, Barbara grew up in a close-knit family and leaves behind a strong legacy of family and faith in God. She is lovingly remembered by her Children, Patrick (Chris) Cauwels, Christine (Cory) Javurek, Ryan (Larissa) Cauwels, and Michelle (Dane) Miller; grandchildren, Kaitlyn, Brooke, Christopher, Matthew, Austin, Noelle, Roman, Adelynn, Parker, and Logan; Great-Grandchildren, Evelyn, Chloe, and David; Former spouse of 28 years, Richard Cauwels; Surviving siblings, Joyce (Robert) Balzer, Rita (Jim) Becker, Michael (Nancy) Bickett, John Bickett, and dozens of nieces & nephews. Barbara's family would like to express their deepest gratitude to Heritage Woods of Rockford and Fair Oaks of South Beloit for their care, comfort, and compassion for Barbara over numerous years. Words do not fully express our appreciation of their assistance. In lieu of flowers, please send donations to The Notre Dame Ara Parseghian Medical Research Fund, a non-profit organization dedicated to finding a treatment and cure for Niemann-Pick, Type C disease (NPC). Barbara prayed every day for a cure for her grandson, Parker Miller, who was diagnosed with NPC in 2017. Donations can be made online at https://parseghianfund.nd.edu/. Please make them in memory of Barbara Cauwels with a note stating this donation is to support Barbara’s grandson, Parker Miller. Visitation will be from 2:00 to 4:00pm with the Rosary recited at 4:00pm on Sunday, December 9, 2018 in Honquest Family Funeral Home with Crematory, Mulford Chapel, 4311 N. Mulford Road, Loves Park. Mass of Christian Burial will be at 10:00am with a visitation from 9:00am until the mass on Monday, December 10, 2018 in St. Bridget Catholic Church, 600 Clifford Avenue, Loves Park. Burial on Monday at 2:30pm in Saint Patrick's Church Cemetery, 1336 Maytown Road, Sublette, IL 61367.